Thanks to snw.se for excellent photography, and to Unionville in Stockholm for letting us hang out for a while! Great atmosphere! 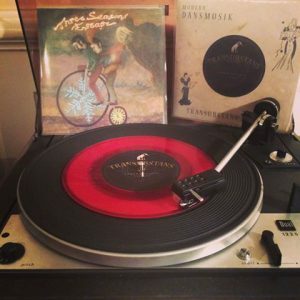 A reminder: to stay in tune with the latest from Three Seasons, don’t forget to follow us on Facebook and Instagram to get all our updates… Such as this nice reminder of the rarity “Escape” 7″ on red vinyl! Now sold out since long ago! New tones from Three Seasons! 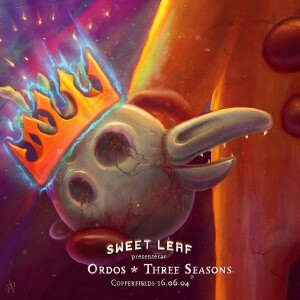 Three Seasons is right now working on the materials for the new album! In the meanwhile, take part of this material from the songwriting process: here are parts of four new, unreleased songs, probably to be featured on the next Three Seasons record! Enjoy, and stay tuned for more news about this release! Big thanks to Ingbofestivalen! Next up is Lavskrik! Big thanks to the organizers and the crowd at Ingbofestivalen 2016! A really great festival as always. Check out this video of Tablas of Bahar from this evening! Coming up this Saturday is Three Seasons’ first visit to Stripa in Guldsmedshyttan for the yearly festival Lavskrik! See you there! The search is finally over — Three Seasons are now extremely pleased to have found a fantastic drummer in THOMAS BROMAN, who will join this journey! Hugely experienced from e.g. Glenn Hughes, Electric Boys, Michael Schenker, John Norum, Great King Rat and many others, Thomas’ drumming brings heaps of groove and power, and he’s definitely the right one for this job! Last night in Stockholm was the premiere gig for this line-up, and it proved that the future has many exciting things in store. A big thanks to all of you for coming out to Copperfields yesterday, and keep your eyes open for news about this new era of Three Seasons! We have a gig coming up at Copperfields Stockholm next Saturday — here’s the poster! Don’t miss this one! More info on Facebook! 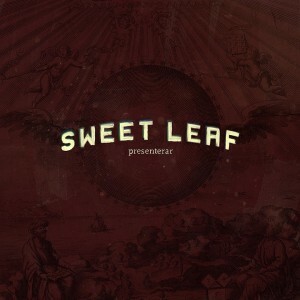 Show at Sweet Leaf in Copperfields, Stockholm coming up! 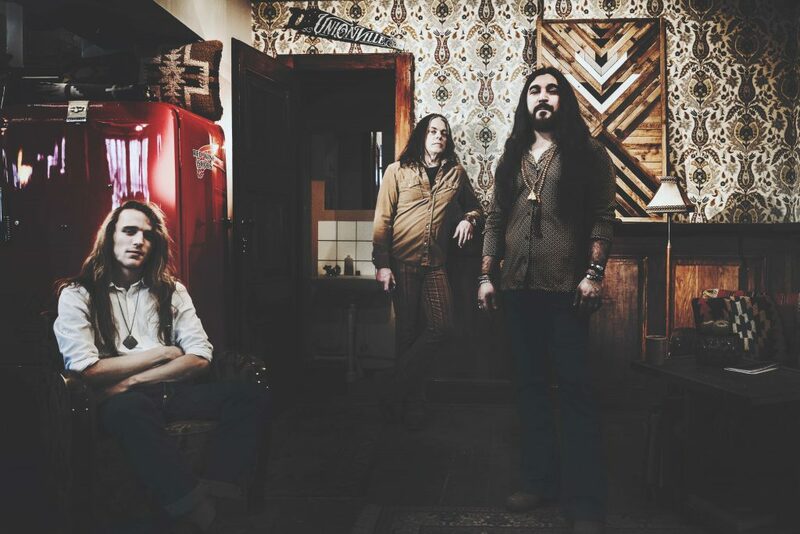 Three Seasons kommer äntligen tillbaka till Stockholm för en rejäl dos med 60/70’s-doftande psykedelisk bluesrock! I bagaget har bandet tre fullängdare som tryckts på vinyl och sålt som smör, och flera gånger blivit utsedda till årets album; idel festivalspelningar på bl. a. Getaway Rock, Celebration Days och Woodstock Forever, och långa turnéer med band som Blues Pills och Truckfighters; och massor av recensioner med höga betyg, där jämförelser med band som DEEP PURPLE, LED ZEPPELIN och JIMI HENDRIX är ständigt återkommande. På trummor ikväll har bandet dessutom ingen mindre än den ruskigt rutinerade THOMAS BROMAN, som bl. a. medverkat med Great King Rat, Glenn Hughes, Electric Boys, Michael Schenker, John Norum och väldigt mycket mer. Det här kommer bli svängigt, blytungt och melodiskt om vartannat, och ett gig som absolut inte får missas! 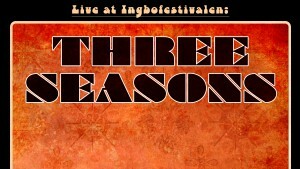 Three Seasons finally returns to Stockholm for some fine 60/70’s-style psychedelic blues rock! The band brings three full albums on vinyl that have been selling really well, and several times been named as the album of the year; many festival shows on e.g. Getaway Rock, Celebration Days and Woodstock Forever, and long tours wth bands like Blues Pills and Truckfighters; and lots of reviews with great scores, where comparisons with bands like DEEP PURPLE, LED ZEPPELIN and JIMI HENDRIX are not unusual. 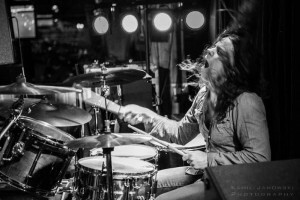 On the drums tonight, moreover, the band brings hugely experienced THOMAS BROMAN, who has played with e.g. Great King Rat, Glenn Hughes, Electric Boys, Michael Schenker, John Norum and lots more. This will be everything between groovy, heavy and melodic, and a show that absolutely cannot be missed! 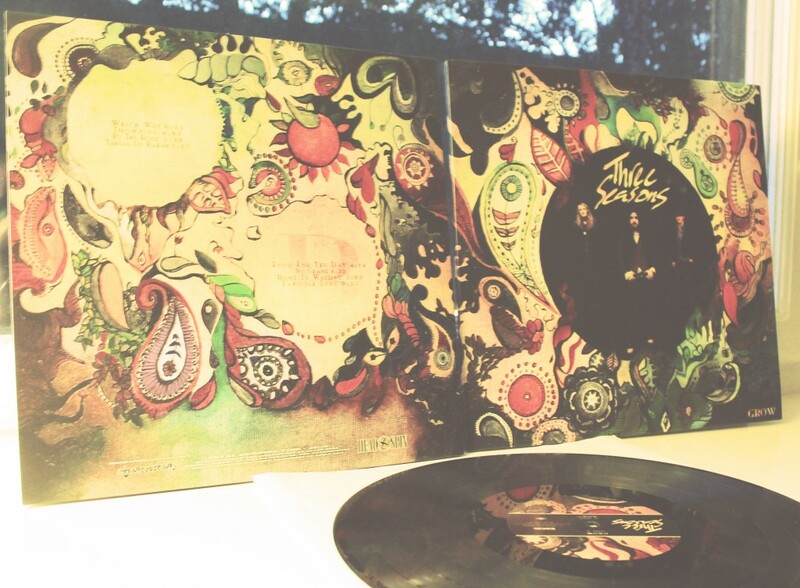 Although our vinyl records have been selling fast, we still got copies left… So pick one up before it’s too late! See our Shop page for more details! Back home from the festivals! 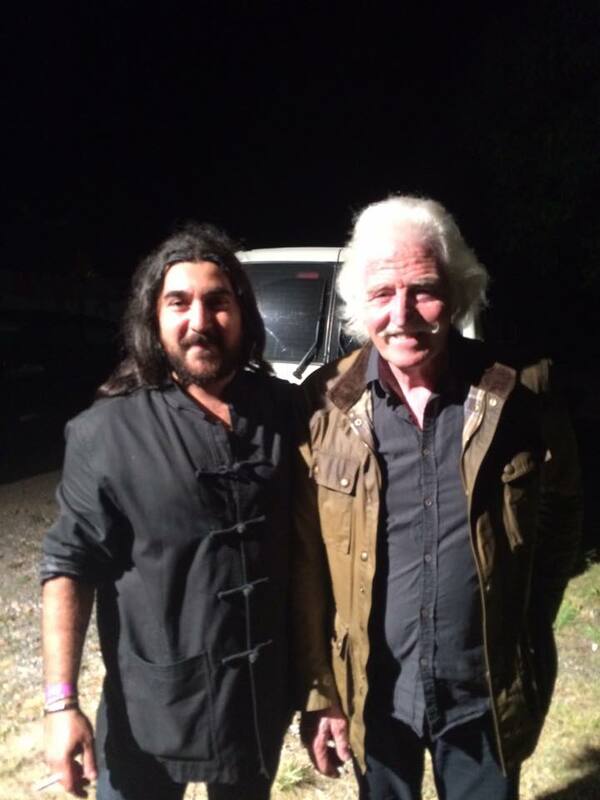 We are back home from two fantastic festival shows at AquaMaria and Woodstock Forever Festival! 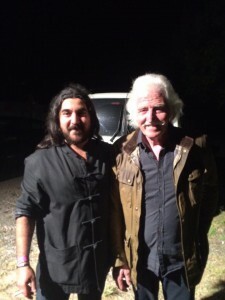 Really cool to have shared the stage with Leo Lyons, the legendary bass player from Ten Years After – Band and Woodstock back in 1969… Good times! A big thanks to the thousands who came to these shows! The next week Three Seasons are returning to Germany again! 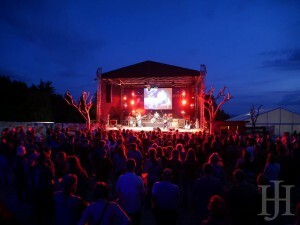 We will visit the Aquamaria Festival and the Woodstock Forever Festival for two fantastic evenings. First stop is Aquamaria Festival at Friday 14 August. 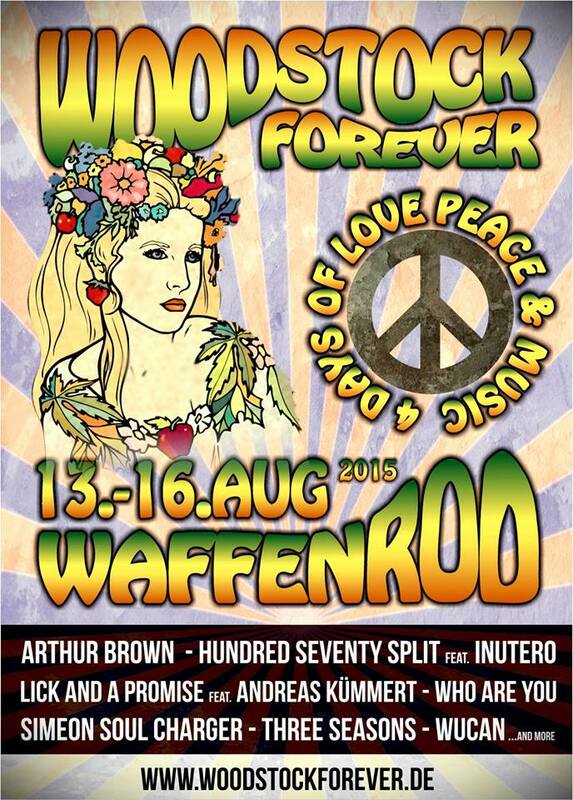 Then next up is Woodstock Forever at Saturday 15 August, where we play 20.00 at the main stage. Don’t miss these great nights! See you! “THINGS CHANGE” Named Best Album of the Year! THINGS CHANGE CD now released! New Song “BREAK DOWN, START OVER” now online! New song “I Don’t Need Nothing More” now online! Three Seasons are going to Finland! Booking Co-op with Rock The Nation! The Rock Revelation Tour is over! Three Seasons to the Aquamaria Festival 2015! 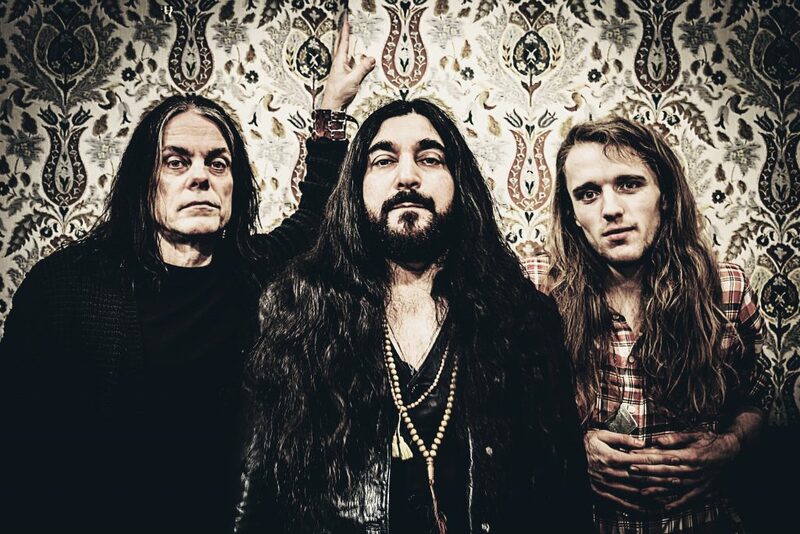 Three Seasons joins Blues Pills, Truckfighters and Jex Thoth for the Rock Revelations Tour! “GROW” named #1 of the year! Show in Uppsala coming up! Three Seasons to Getaway Rock Festival! The new vinyl has finally arrived! New album GROW out today!! “Familiar Song” from the coming album out now! New reviews on the coming album! Here are the first sounds from the new album! Thanks for the tour so far! The tour is about to begin! “Understand The World” out now!! 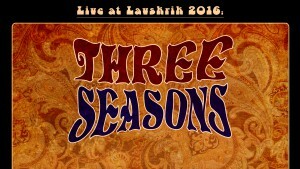 Three Seasons Live in Örebro! Escape 7″ coming 18th December! Gig at Hellbar this Saturday! The long awaited vinyl is finally here!